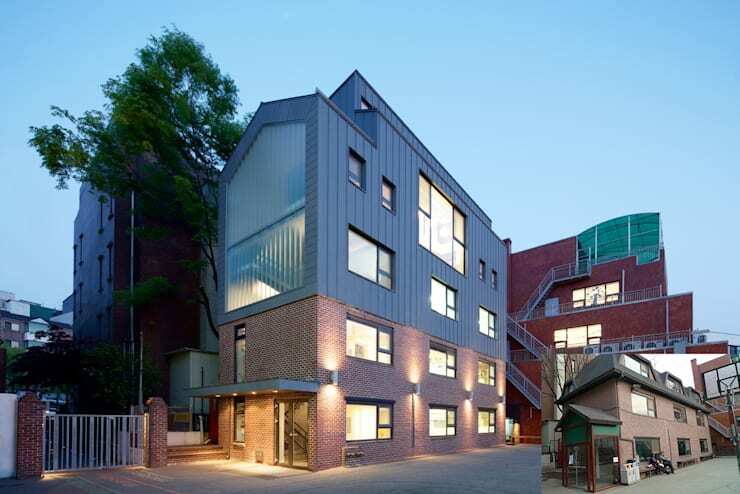 Zabel&Partner,a Korean architecture office with german roots, has completed various projects at the German school (DSSI, Deutsche Schule Seoul International) in Seoul, Korea. 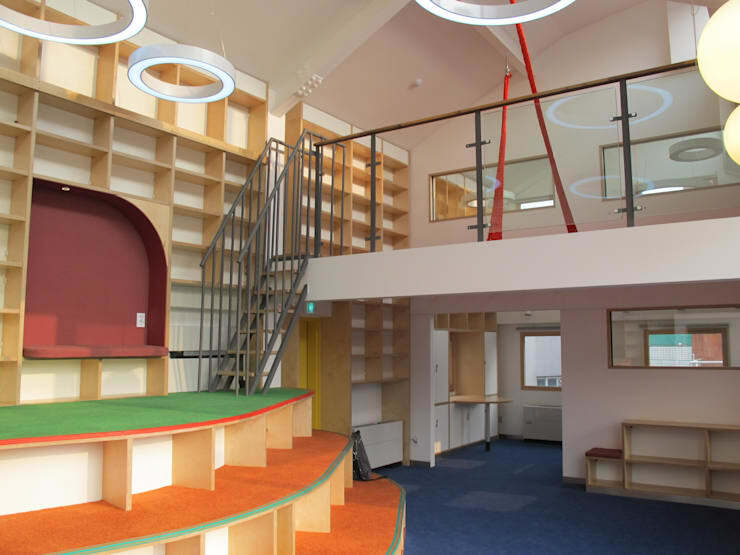 The projects range from interior modifications to a building extension. The improvements for the German School have been set up as a long term project in several phases. 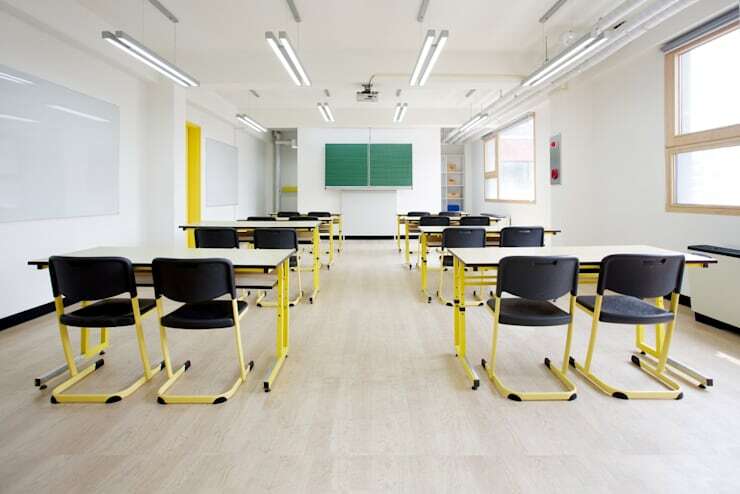 All works have been executed each year in the school holidays to prevent interruptions of the daily school life. 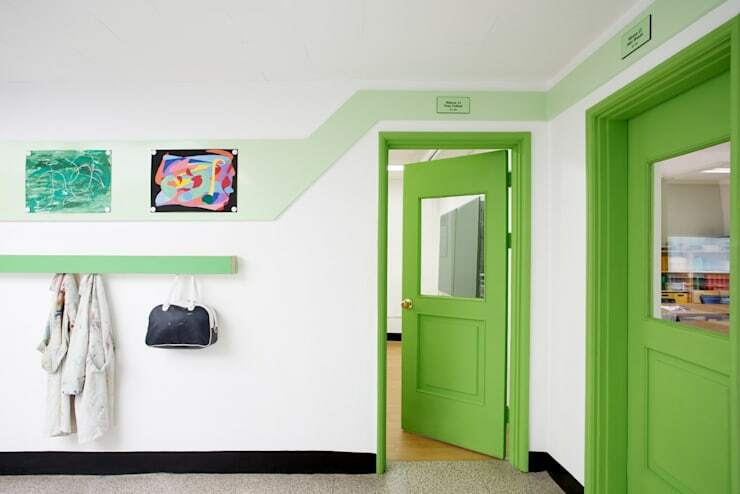 In the existing main building a colour coding has been applied during the renovation process that included major improvements on the student's safety, security and functionality of the building. 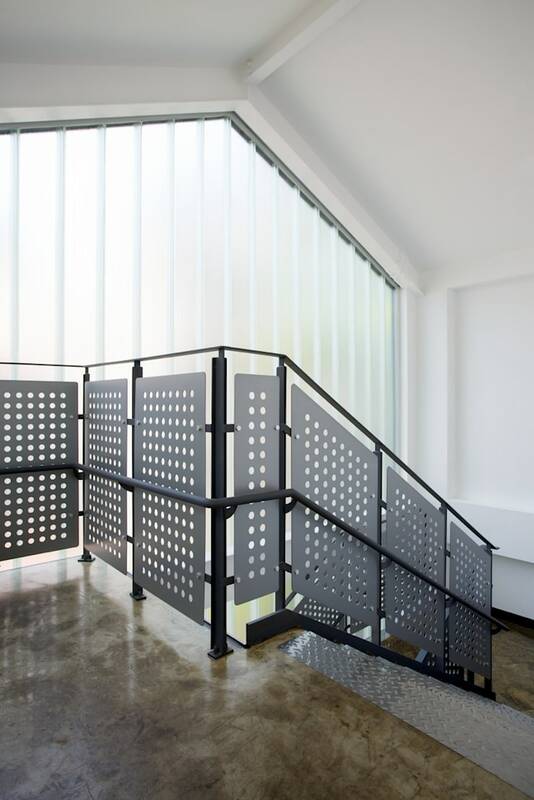 Further installed are a guidance system, exhibition system and break-out areas on interior and exterior. 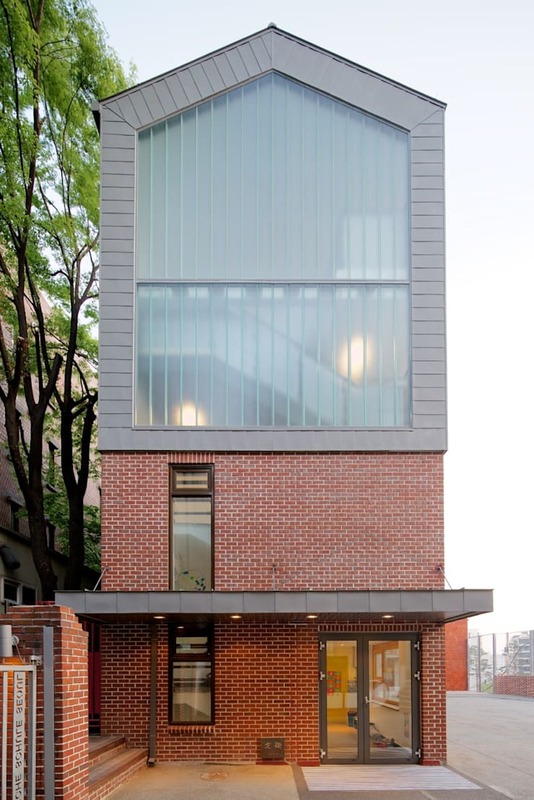 This was followed by the extension of the existing building. 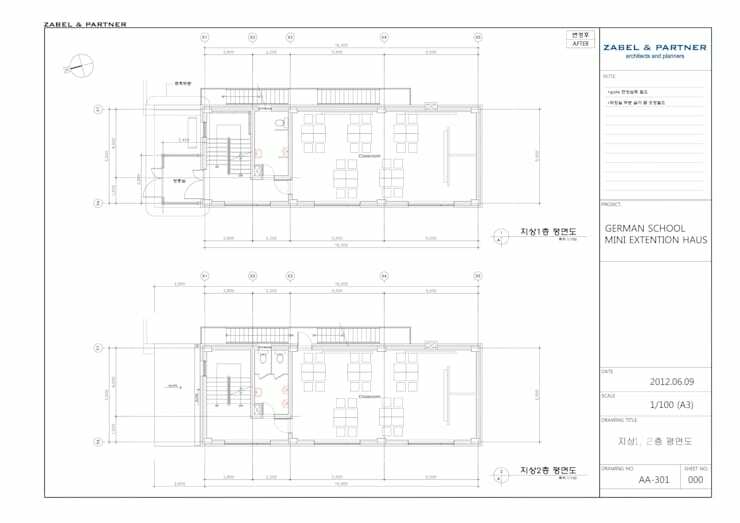 To ensure the structural safety, the existing concrete top floor had been removed and two new floors added in light weight construction. 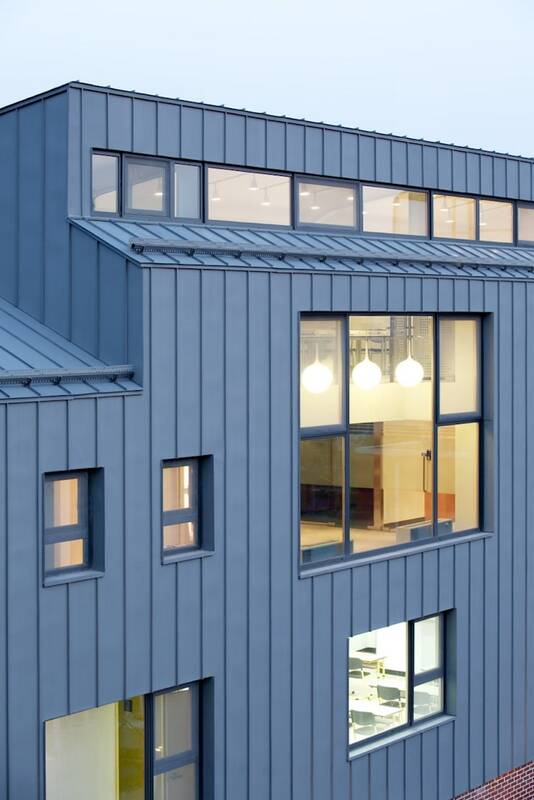 The metal cladded facade breaks from the general brick finish of the schools buildings. Very recently the library has received a major upgrade. 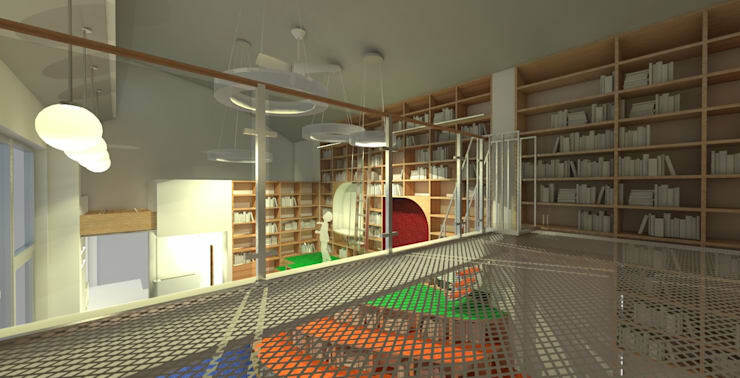 Making use of the high ceiling in the book shelfs are extended to the ceiling, platforms and steps that house more shelving and sitting opportunities introduced and the feature element, a net that invites the kids to hang out to read.